NASA has again delayed Boeing's and SpaceX's first test flights of the commercial crew program -- which will launch humans from American soil for the first time since 2011 -- by one month. The announcement, posted on the agency's website Wednesday, says the delays were needed to "allow for completion of necessary hardware testing, data verification, remaining NASA and provider reviews, as well as training of flight controllers and mission managers." SpaceX's flight now is scheduled for March 2 after being bumped twice from the originally planned Jan. 17. Boeing's flight has been pushed back to April, from its original March timeline. Wednesday's delay represents yet another setback for the commercial crew program, which has struggled to get off the ground since SpaceX and Boeing were tapped in 2014 to build commercial vehicles that can transport NASA astronauts to and from the International Space Station. SpaceX did not respond to a request for comment, but Boeing officials said in a statement Wednesday that they working to launch "at the earliest time it is safe to do so." "Developing a safe human-rated orbital transportation system takes both time and meticulous attention to detail in the design, production and test phases," the statement said. "We continue to mitigate risks and evaluate our schedule as we move through each phase of the program." The commercial crew program began as an effort to alleviate the U.S.'s dependence on Russia for transporting astronauts to the orbiting laboratory. NASA has relied on Russia for this service since the Space Shuttle program was shuttered in 2011. The two companies initially were expected to launch crewed test flights in 2018, but like those of many space-related programs, their schedules have slipped. Now, the first crewed flight for SpaceX is tentatively scheduled for July 2019, and the first crewed flight for Boeing is set for August 2019, NASA reported. "The uncrewed flight tests are a great dry run for not only our hardware, but for our team to get ready for our crewed flight tests," said Kathy Lueders, Commercial Crew Program manager, in a statement. "NASA has been working together with SpaceX and Boeing to make sure we are ready to conduct these test flights and get ready to learn critical information that will further help us to fly our crews safely." In October, a NASA safety panel released a report calling into question both companies' timelines and construction. For example, it found that Boeing had not completed several important tests on the parachute systems, heat shield and other components of the spacecraft. It also found that SpaceX was struggling with the parachute system. Despite these delays, NASA already has announced the nine astronauts who will be the first to fly on Boeing and SpaceX vehicles. 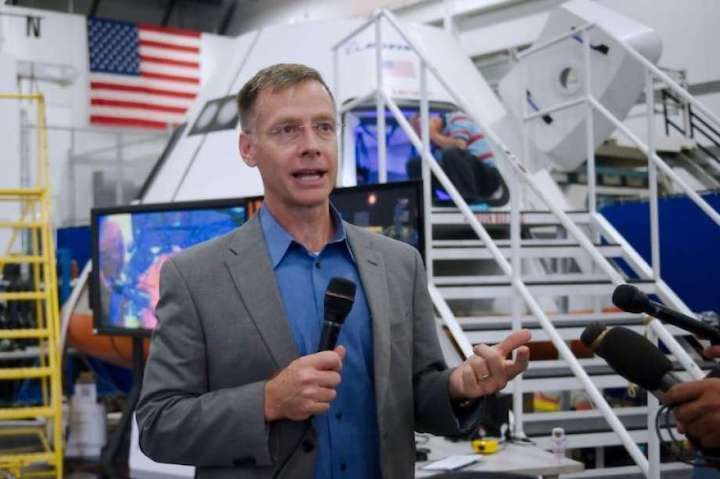 One of those original nine, NASA astronaut Eric Boe, already has been pulled from the Boeing flight later this year for "medical reasons." He was replaced in January by E. Michael Fincke. The commercial crew program also is on shaky ground because of an investigation by NASA into the workplace culture, including drug use, at both Boeing and SpaceX. It's not yet clear how that will impact the flight schedules.